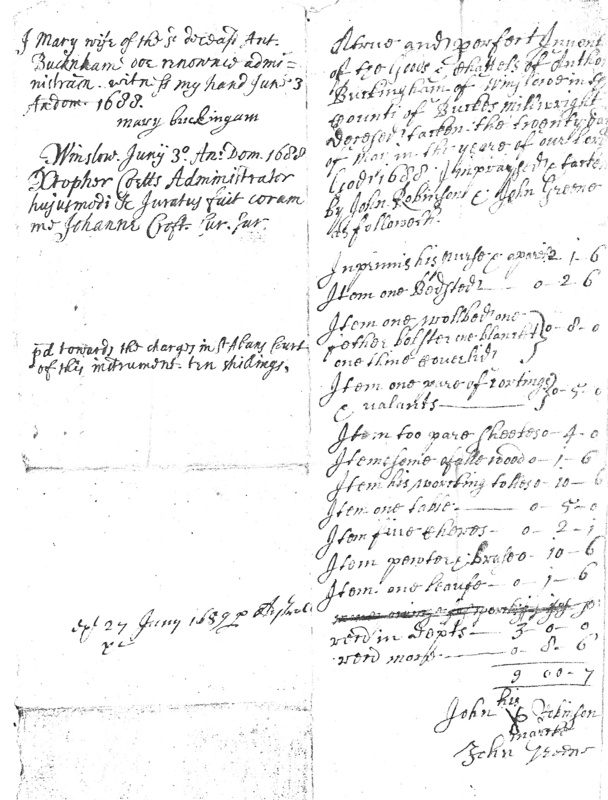 [translation] May everyone know through the present (documents) that we Christopher Coutts of Winslow in the County of Bucks, grocer, and Thomas Ridyard of Winslow in the aforesaid county, parish clerk, are held and firmly bound to the Venerable William Oldys doctor of laws, Official legitimately appointed in and by John the Archdeacon of St Albans for [sum omitted] pounds of good and legal money of England, to be paid to the same Venerable Doctor Olds or his certain attorney, executor or administrator. To the making of this payment well and faithfully we oblige ourselves and each of us individually for the whole and sum, our executors and adminstrators and (those) of each of us, firmly by the present (documents) sealed with our seals. 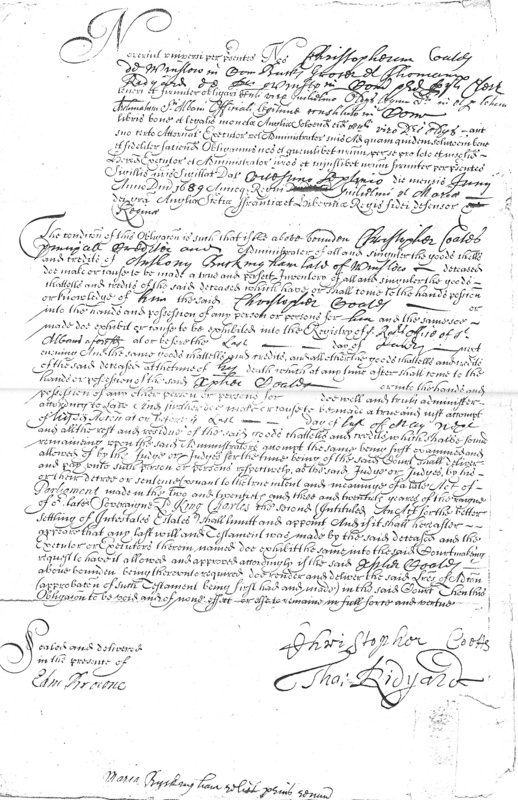 Dated 27 June 1689 in the year of the reign of William and Mary by the grace of God king of England, Scotland, France and Ireland, defender of the faith, and the queen [number omitted]. I Mary wife of the deceased Ant. Mr Johanne Croft Cur. sur.